ABOVE: Clare Brown, Karen Brown (center), and June Brown hit the road each year to inspect hotels for the Karen Brown Guides. 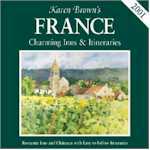 Karen Brown is the author and publisher of Karen Brown's Guides, a series of guidebooks that focus on "charming inns," bed & breakfasts, and rural driving itineraries. In the interview below, she talks about life as a guidebook author and offers tips for European travel. Update: Karen Brown has retired from guidebook writing, but we've kept this interview online for the enjoyment of her many fans. Q. 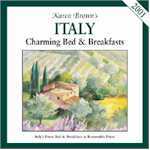 The Karen Brown's guidebook series now has 14 titles, including 12 books on nine European countries. What was the title of your first guide, and when was it published? Q. How did you get into the guidebook business? In the mid-1970s, I switched from Occidental College to the University of California at Berkeley. I'd missed Berkeley's September start date, so I had nine months to play with and decided to study French overseas. My mother, who had a travel agency, said "Karen, you need a project. Why don't you put together a book of inns that I can recommend to my clients?" I took my tuition for that quarter, got a small press in San Franciso to sponsor me, flew to Europe, bought a car, and drove around France researching my book. When I got back, I'd lost my publisher, which was having financial difficulties. So I went to a bank and convinced them that, if they gave me a $10,000 loan, I could print 10,000 copies of the book and make a profit at 2,000 copies. I published French Country Inns & Chateau Hotels, ran mail-order ads, and shipped books from my dorm room at Berkeley. I never dreamed that I'd end up as a publisher with a series. I was just looking for a way to get overseas. But pretty soon I did a second book, and a third, and my mom joined me. Then I bought one of those old airline tickets where you could fly across the country, stopping at cities along the way. I used the ticket to visit book buyers and bookstores that had ordered my book. One of the stores was Scribner's on Fifth Avenue in New York. As it turned out, the person I had an appointment with at Scribner's wasn't a book buyer--she was an editor for Charles Scribner's Sons, the publisher, which had offices above the store. She asked,"Do you think there's any chance that you'd let Scribner's distribute your books?" I said "Yes!" Over the years, we've been distributed by other publishers--Time Warner, Globe Pequot, and the Fodor's line at Random House--but we've never relinquished our publishing rights, and we're still an independent publisher. 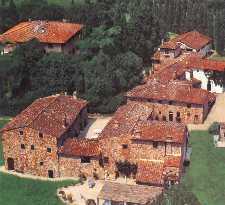 ABOVE: The Fattoria La Loggia in Montefiridolfi, Tuscany is featured in Karen Brown's Italy: Charming Bed & Breakfasts. Q. Tell me how you go about researching a guidebook, from picking the hotels to reinspecting them. With the first book, I literally drove the roads and talked to people, looking for inns to write about. Today, I have to think about time and family pressures, and travel is more expensive. So I do a lot of research before going overseas. Reading guidebooks and articles is part of that, but the best sources of information are readers and innkeepers who tell us about new places that have opened. Also, I no longer research the books by myself. There are now three of us, including Clare Brown (my mother) and June Brown (no relation), who handles the British Isles. When we go on our research trips each spring, we're almost 100% certain about the places we'll include. We inspect new places carefully, and we reinspect old properties to make sure they haven't slipped. Innkeepers seem to respect that, and they take pride in being listed with the best. Q. Do you use a checklist when inspecting properties? No, that might work for chain hotels, but it's impossible when you're inspecting family-owned owned hotels, inns, mills, and ch�teaux. Every property is different and has to be judged individually. Q. What about price ranges? Do you limit yourself to certain categories of inns and hotels? The properties that we feature are usually moderate to expensive, because our readers are mostly looking for the best experiences they can find. But we cover a wide range, from simple little places for $50 a night to hotels that cost $1,000 a night. ABOVE: The Charming Inns & Itineraries books (left) have been joined by several Charming Bed & Breakfasts titles, which cover B&Bs and agritourism properties that don't offer a full range of hotel services. Q. How do your guides differ from the big mainstream guidebooks? Well, first, we really see everything. We visit every property at least once every two to three years, which isn't always the case with other guides. I've actually had innkeepers say, "Karen, we haven't seen anyone from [NAME WITHHELD] in years," even though they're still listed in that guidebook. Consistency is another difference. There are just three of us working on the Karen Brown's Guides, and each of us is responsible for the same country or region on every trip. We get to know the inns, the innkeepers, and what to look for at each property. Finally, our itineraries set us apart. I've always wondered why other guidebooks don't pair countryside driving itineraries with accommodations. Logic would suggest that you tell people where to go when you're telling them where to stay. In our Charming Inns & Itineraries books, we suggest scenic routes that are mostly off the beaten path. For example, in our France book, we list 11 car routes and a train itinerary. A traveler could do Normandy and link it up with the Loire Valley or Brittany, depending on their time and how they pace themselves. Recently, we began providing inexpensive downloadable itineraries on our Web site. These include hotel reviews from our books--with color photos, which aren't in the books--and they're especially convenient for a reader who might just be passing through a country and not want a complete guidebook. Q. What about your audience--do you have a prototypical reader? When I started the series 25 years ago, the audience was mostly second- or third-time travelers with high incomes. Today, the typical reader could be almost anybody who has the courage to venture out on their own. Most readers are probably 30 and up, just because they've reached the point of having jobs that pay well enough for them to travel comfortably. They're people who appreciate quality without questioning every little detail, who are willing to spend a little extra money for a memorable travel experience, and who know that a European trip shouldn't stop when you return to the hotel at the end of the day. Another change we're starting to see is an increase in travel with children. In families with two incomes, parents don't spend as much time with their children as they might like, so they want to take their children with them when they visit Europe. 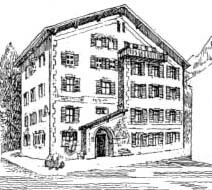 ABOVE: Karen Brown's Charming Inns & Itineraries books are illustrated with handsome drawings like this sketch of the Pension Privata in Sils-Maria, Switzerland. Q. Getting back to your books, what's the difference between your Charming Inns & Itineraries and Charming Bed & Breakfasts guides? We now have three companion guides that focus on the B&B category. This is partly because the Inns & Itineraries books for France, Italy, and England were getting too big and cumbersome. The B&B owners are another reason for the new guides. 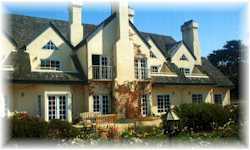 They told us that some readers didn't understand the difference between a bed-and-breakfast and a five-star chateau--for example, the fact that a B&B normally won't offer room service, direct-dial phones, or a restaurant. In countries where the bed-and-breakfast and agriturismo movements were well established, it seemed a good idea to have separate books. Q. I understand that you've become an innkeeper yourself. How did that come about? And does being an innkeeper have any effect on your work as a guidebook author? I'd always had a dream of owning an inn with the kind of personal service that you get in Europe. One day, when my husband and I were staying in a gorgeous place in Belgium, my husband looked at the owner's children playing and said,"Wouldn't this be a wonderful way to raise kids?" So we built the Seal Cove Inn in Moss Beach, California, about 30 minutes south of San Francisco. We worked seven-day weeks, but our schedules were flexible enough so we didn't have to put our children in day care. I think owning an inn gives me a better appreciation for what innkeepers do. It makes me a little more forgiving, but it also helps me know what to look for because I've been behind that closed door. And I love seeing both sides of the business. ABOVE: Karen Brown and her husband opened the 10-room Seal Cove Inn in Moss Beach, California after researching family-owned inns and hotels in Europe. Q. Do you have any tips you'd like to share with Europe for Visitors readers? I'd encourage people to really venture out on their own--to get that feeling of exploring, opening themselves to new experiences, and breaking the ice with phrases they remember from their high-school language classes. Also, travelers should settle in for a couple of nights instead of packing and unpacking every day. Travel is so much more relaxing and enjoyable when you get to know the local people and the other guests. The most rewarding travel experience isn't just sightseeing with your guidebook--it's getting out on country roads, staying in inns, and meeting people from all over world. Browse the Karen Brown guidebook library, view sample hotel reviews and itineraries, and communicate directly with featured properties by using a standard e-form. Photos and artwork from Karen Brown's Guides. Used by permission.